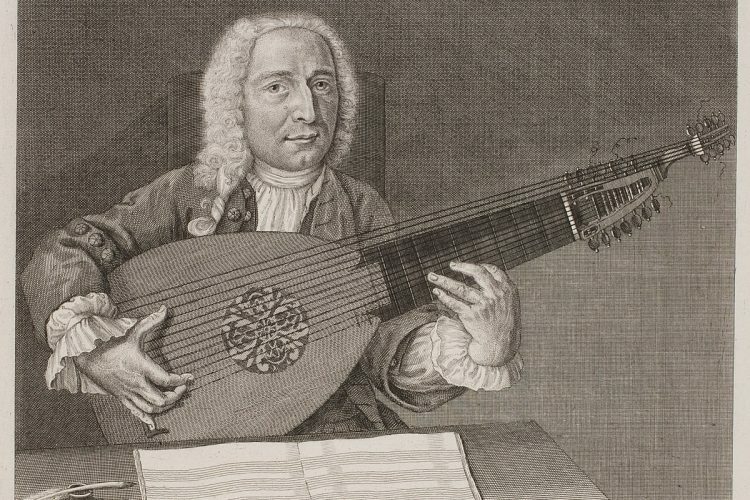 A drawing of Adam Falkenhagen, a 17th-century German lutenist and composer. 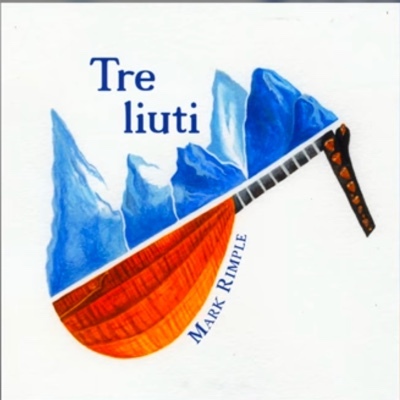 The “tre liuti” referred to in the title of Mark Rimple’s latest recording are the three lutes on which he performs on this album: a six-course lute, a ten-course lute, and a fourteen-course archlute. Taking each up in largely chronological order, Rimple showcases over two centuries of works for the Renaissance and Baroque lute. 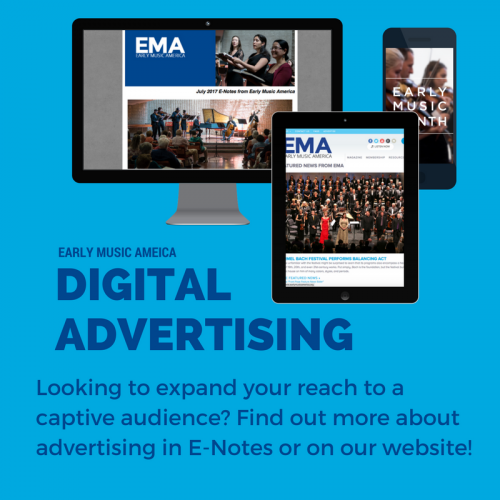 The 16th through early-18th centuries were the heyday for printed intabulations of works for a lute in G tuning (the same tuning as a tenor viol, hence its moniker vieil ton), at least in Italy; by the late 17th century, France and parts north began to shift to a D minor tuning, but Italy continued with the vieil ton until the end of the lute’s popularity. 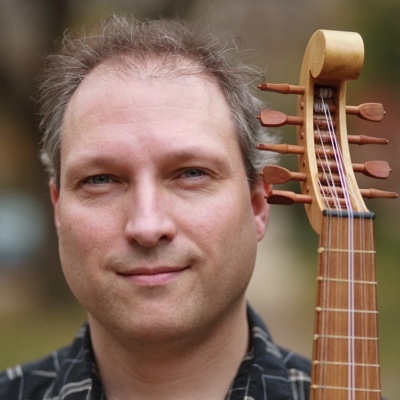 Rimple therefore focuses entirely on Italian repertoire, tracing music written for this tuning from 1507 to 1718. All of the most popular Italian genres find a home on this recording: a few early intabulations of works by Ockeghem (Ma boucherit) and Josquin (Fortuna d’un gran tempo); a number of instrumental dances; virtuosic, free-form ricercares, fantasias, toccatas, and preludes; and later multi-movement sonatas (by Michelangnolo Galilei and Giovanni Zamboni Romano). As the album progresses, the works grow more fully textured, deeper, and more resonant with every new instrument, until the bass notes of the concluding Ceccona positively glow. Despite the changing tastes in genre and instrumentation over the centuries depicted here, Rimple points out that the vieil ton and the twinned proclivities toward detailed ornamentation and graceful melody remained a constant presence in the Italian lute repertoire. And so they are on this album; despite the vast difference in time period between the first Recercare by Francesco Spinacino (c.1507) to the aforementioned Ceccona by Romano, dating from the early 18th century, the works clearly share in a common Italian tradition that fuses the 26 works on the album together. The works also clearly share Rimple’s extraordinarily sensitive playing. His careful attention to each work’s design allows for a rhetorical pause or delay here, a burst of energy there, a lovingly turned ornament elsewhere. In a manner of speaking, he makes these pieces transparent; one can easily hear the main melodic thrust of each selection despite the complexity of the diminutions or variations layered upon it. These pieces breathe. Listen, for example, to the short but gorgeous Tastar de’ corde by Joan Ambrosio Dalza (fl. 1508), with its alternations between strummed and broken chords, its cadential pauses, its gorgeous shift to a delicately soft dynamic. Or, perhaps, to Francesco Canova da Milano’s Fantasy No. 33, with its slow layering of quick runs, building from low to high, sustaining the long melodic line. But it would be possible to wax poetic about each selection, in some fashion. It is a well designed and beautifully executed album that showcases the longevity and ingenuity of lute composition in early modern Italy, and a marvelous modern approach to its performance.